When Should I Hire a Personal Injury Attorney? 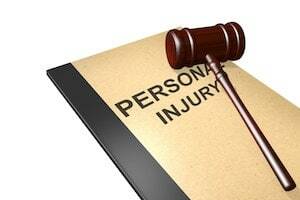 When should I hire a personal injury attorney is a question many people ask me. After you have been injured in an accident, such as car crash, bike or motorcycle wreck, slip and fall, or any other type or mishap, you may wonder if or when you should consider hiring a personal injury attorney. Your decision should be informed by the answers to several questions. After you have thought through each of them, you’ll have a better idea about whether or not you should retain counsel. ● How serious is your injury? Not all injuries will require the use of a lawyer. If your injury is minor and you have the time to work on the legal and insurance claims on your own, it is possible for you to settle your own claim. It is important, however, that you consider seeking help from an attorney for any injury that has pain that lasts for longer than a few days and that requires medical care. If your injury necessitated hospitalization, surgery, physical therapy, rehabilitation, chiropractic work, cosmetic surgery or orthopedics, you likely need to have your case evaluated by an injury lawyer. When claims involve substantial past and future medical expenses, their value can be significantly increased when you have good legal representation. ● Do you believe that your injury was caused by someone else? If you believe that your injury was caused by someone else’s negligence or that the death of your loved one resulted from another’s actions, it is very important to consult with a personal injury attorney. Proving legal fault involves applying certain standards to the evidence. In order to strengthen your claim, it is important to consult a lawyer as soon as possible so that the important evidence can be gathered and preserved. ● Is an insurance company representative contacting you? Insurance companies employ adjusters and claims representatives in order to reduce their losses. They do so by minimizing the amounts that the companies pay out in injury claims. If you are contacted by an insurance company representative who asks you for recorded statements, medical records, your story, releases and other information, you should tell them that you are contacting an attorney. Insurance adjusters will often try to get you to make statements that are ultimately harmful to your claim, and you should never sign releases without an attorney’s review. The releases insurance companies frequently ask for are blanket authorizations that allow them to dig through your entire medical history. The reason they want to do this is so they can blame your injury on a pre-existing incident. This can result in your claim’s value being substantially reduced. It is also important for you to understand that the reason adjusters contact you is because their company believes that you likely have a valid claim. They want to get the information that they need in order to help them with their goal of either minimizing your payout or denying it all together. This is true even when you are dealing with your own insurance company in a case involving an uninsured motorist. Don’t fall for their tricks and instead, consult with a personal injury attorney. ● Is the company refusing to pay or offering an unreasonably low amount? Insurance companies will sometimes use dirty tactics to try to avoid paying the claims of injured people. These tactics may include unreasonable delays in your claims process, refusing to pay you even though liability is not in dispute or making unreasonably low offers despite your extensive injuries. A personal injury attorney understands these tactics. Insurance companies that engage in bad-faith negotiations may be liable to you for doing so. A personal injury lawyer may put an end to such tactics and seek the recovery that you should rightfully receive. ● Are you comfortable with the law and the settlement process? If you handle your own case, you will need to have a good understanding of the legal underpinnings of your claim as well as the settlement process. Receiving a fair amount in the settlement may involve savvy negotiation skills combined with knowledge of both the statutory laws and case law. Some injury cases are highly complex. For example, if you were injured by a defective product or by what you believe was medical negligence, you may need the help of experts in order to uncover the evidence that you will need to prove your claim. Auto accidents may require accident reconstruction, witness interviews and a solid understanding of physics. You’ll also need to be able to decipher your own medical records so that you can appropriately value your claim. If you are not comfortable with doing these things, consulting with a personal injury attorney is in order. An attorney who is experienced with personal injury cases may be better-equipped to value your claim. Your case’s worth will include all of your economic and noneconomic losses. Insurance companies often do not volunteer offers that include money for noneconomic losses, such as pain and suffering, loss of consortium and others, on their own. An attorney may be able to negotiate the recovery for both your economic losses as well as your more intangible ones. ● Is the insurance company disputing the liability of its insured? Even when an accident is clearly the fault of the other party, an insurance company may try to dispute liability. Often, a company will do this to try to make people believe that they don’t have valid claims or that their claim is worth far less than it is. If liability is being disputed, it is vital that you seek help from a personal injury attorney. A lawyer may gather the evidence that you need to prove liability so that you can either settle or head to trial.